This residential complex of 213 rented and owner-occupied units, a community centre and amenities for the elderly, occupies a brownfield site alongside the approach to the Willems Bridge. 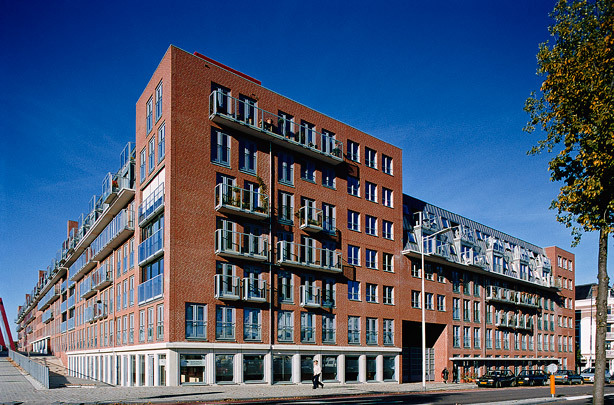 Its zinc roofs, brick cladding and French balconies were inspired by the 19th-century buildings along the clearing (Burgemeester Hoffmanplein) just to the south-west. This complex designed by the Antwerp firm of AWG (bOb van Reeth) was Rotterdam's first taste of retro-architecture.